Açedrex is pleased to continue expanding our offerings in English on Spanish topics with a new two-book series. I’ve always been a fan of nineteenth-century travel narratives in English. They make comparisons that reveal more about England or the US than they do about the country visited. They don’t avoid showing their awe or their disgust. They’re resolutely opinionated and unabashedly judgmental. In other words, their perspective makes the book. In spite of all that, someone reading these narratives today can learn a lot about the Spain of the time: history, politics, customs, economic conditions and religious morality. 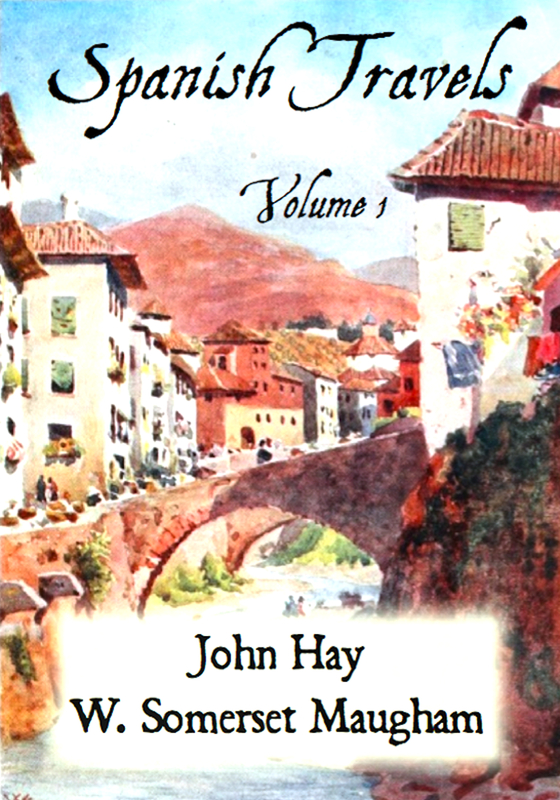 This edition presents Castilian Days by John Hay and The Land of the Blessed Virgin by W. Somerset Maugham. John Hay, lawyer, diplomat and journalist, served as Lincoln’s secretary and was US Secretary of State during the terms of McKinley and Theodore Roosevelt. He helped negotiate the treaty that ended the Spanish-American War. First published in 1875, Castilian Days contains his sharp observations of Spain, 1867-1868, when he was secretary of legation in Madrid. Hay’s no-nonsense reporting makes you feel you are discovering Spain right along with him. W. Somerset Maugham was one of the most popular writers of his era and is known as one of the most significant travel writers of the time. Playwright, novelist, and short story writer, Maugham wrote his reflections on Spain during his literary travels there early in his career. The Land of the Blessed Virgin is a collection of wryly detailed essays on what the author saw and the people he knew in Andalusia. The prose — and the Spain it portrays — sparkles. The edition includes the full text of both books and a convenient interactive table of contents. Spanish Travels Volume 2, available in October 2011, will contain more great prose from savvy travel writers and period photography and etchings. Available in Kindle and Nook.